The past two weeks I've been implementing Whole Brain Teaching.. I wanted to chat about how it's going because no one at my school does WBT so I need some friends to exchange ideas with me! If you have also been implementing it please share how its going! Love it, use all day every day. If my students are being super chatty (like after recess and their eating snack) I just say 'Class' over and over again in different voices which relieves my frustration since it is silly and to make sure they all get quite and stay quite! My first graders last year didn't really grasp this too well. I introduced it towards the end of the year but they just never waited for me to say 'Teach' and then say 'Ok.' My kiddos this year have it down. They are pros! I tell them I want to talk to your partner about ............. and they sit and listening and look at me until I say 'Teach' sometimes I forget and I wonder why they are still staring at me like brillant little listeners and some of them will give me a hint but moving their hands like I do when I say 'Teach.' So cute. But I'm loving this and my kiddos are doing GREAT. I will say I fuse WBT and Kagan together since I do pull random sticks from my 'Cup of Chance' and they have to tell me what their partner has said. This really holds them accountable for listening and for making sure each person has a chance to speak. I only do that when they are sharing opinions, predictions about books, etc. Not re-teaching something like in WBT. I started the scoreboard hour 1 of day 1 and would never go back. I love it. I have it on a personal white board (even has a handle) so it travels with me to the carpet, when I sit down for morning meeting, when I stand in the front of the room and students are at desks, when they are in line I bring scoreboard with me by the door. I think this is key... having a traveling scoreboard so you don't have to be standing by the board all the time to award points. Also I can't handle giving out another prize on Fridays. I have so many rewards happening on Friday we just couldn't play for another one. So my class voted on earning a class pet.. they convinced me and I agreed on a fish or a turtle (I'm not sure turtles are even allowed but I'm leaning towards a salt water fish tank thanks to my dad also convincing me and telling me he will help fill it up with what he catches in the bay). So each day we play to earn another point towards them receiving a class pet. They have to have 20 points to earn it which means 20 days of more smiley face tally marks than sad face. This week out of 4 days they only earned one, just ONE, smiley face point. I've been a little strict but Friday they did shape up and are learning that in the afternoon they still have to be as good as they were in the morning. Thursday we spent 15 minutes setting up our Super Speed Math folders and then Friday we began to practice it. There are some rules in Super Speed Math that are a little tricky for some of my kiddos like where to start next time you play. But I think after one day of practice most of my class has got it. My students really had to focus when I was explaining the rules but after a lot of modeling they have it down. I'm proud of how they were doing! I will say some of my students love it and some of my low ones still aren't quite sure about it. They have a hard time with the 0's but with some practice and continuous play they will also see growth. Some of them already did and got more into it. Overall, I think it is going to be GREAT and not a lot of work at all to practice math facts. Rather than playing Around the World with math facts, we can just do Super Speed Math and there is 100% engagement rather than just the two students answering math facts for Around the World. Upgrade! We say our rules every morning with gestures. Download them here. My students are taking a while to get into the gestures (whats up with that?) but now are into them just when we do rules. I love saying them every morning. I love how they are numbered so I can say class what is Rule #1? And then they repeat it. 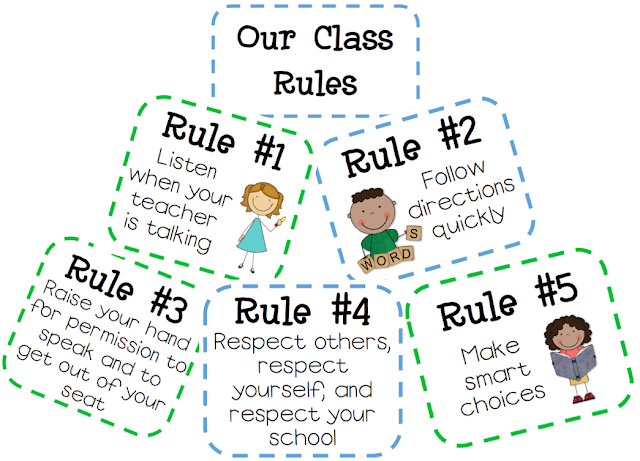 It reminds students of the rule without calling them out. I love how my students are nudging each other and saying the rules with them with their fingers and gestures rather than talking. They are holding each other accountable to get points on the scoreboard. We are starting Star Homework this week! I can't wait to see how it will go. I'm sure the first week might be a little rough but we can only go up from here. I'm anticipating a lot of questions from parents but am ready to answer them. My parents are so much more involved than I anticipated which is great, I'm just hoping they embrace this homework model! Wish me luck! I think that is mostly it. I thought about implementing the 'Six Common Procedures' like lining up, handing in papers, etc. but it is a little too much for me. Do you use them? How does it go? On a different note, this is my first time linking up to Oh' Boy 4th Grade's Currently but I'm thinking it is going to be a new monthly tradition. Yes please write a post soon! I look forward to hearing about it. Ahhh I want a Super Improver Wall but I have a clip chart for behavior too so thought it was too similar to the clip chart. I think I might have students clip up though for improving.. not the same but will have to do for this year I guess. can't wait to hear about your Super Improver Wall! Love your favorite things! I completely forgot to write down mine. I'm loving football season too! I promise you this one year will go by quick. I wash my hands a lot! We also clean our desks every other day with baby wipes. Yes, hand sanitizer I use constantly! Lets hope they stay wonderful all year.. I keep thinking this class is too good to be true! I'm so glad I found another second grade blog, just started following you!! Love your blog! Unfortunately, I'm one of those teachers who got sick. I think it has a lot to do with lack of sleep. Ugh..it's no fun! I've never tried Whole Brain Teaching. It sounds interesting though. I am at a Great Expectations school so I use a lot of their methods along with PEAK. I hope you have a great school year! I love your blog! I also liked your info on WBT. I just started researching it and have been trying to implement it slowly in my classroom. My first graders really struggled with "Teach-OK" when I introduced it.. but, we'll keep practicing. The idea about pulling random sticks after they've "taught" is so smart!! I'm so glad you like my blog! Your so sweet! PS- I am also having a Labor Day Flash Sale on my TpT Store. Hi there! 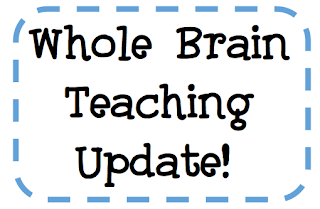 I love your blog because I am a second year teacher too :) I just started using WBT this year and I like it so far! I'm interested in seeing your portable scoreboard... I usually write mine on the chart paper we're currently using (we call it Me vs. You, same idea) but like you said, it's hard to give points when you aren't standing right there! How did you make yours and/or set yours up? Thanks for sharing all of your great ideas and pictures! I'll take a picture of my scoreboard and post it tomorrow! Go second year teachers! Isn't it already feel so much easier? I'm so less stressed, its amazing! Awww, congrats on your upcoming wedding! ;) I hear ya on the Vitamin C!!!!! I'm super paranoid during school that I'm going to get sick or like, uuggghhh---the stomach virus! 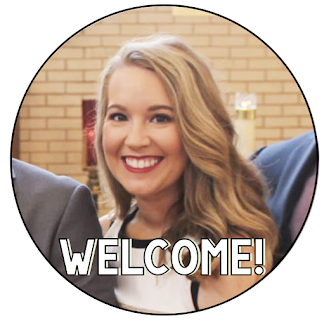 I am liking your blog, bunches! ;) Be well! Your blog looks awesome! I'm so excited to find someone who enjoys WBT as much as I do! Found your blog through Farley's "currently." It is the first time I have done it as well. I loved reading your WBT information. I've read up on a lot of it, but feel that I am already doing quite a bit of it (teach-ok, mirror, etc.). I just haven't really implemented the scoreboard yet. I guess I just don't really understand it? I need to hear more about it! I love your explanations of everything! I'm looking to set up my own WBT classroom and I'm wondering about your rules... I've now seen two different sets of rules. 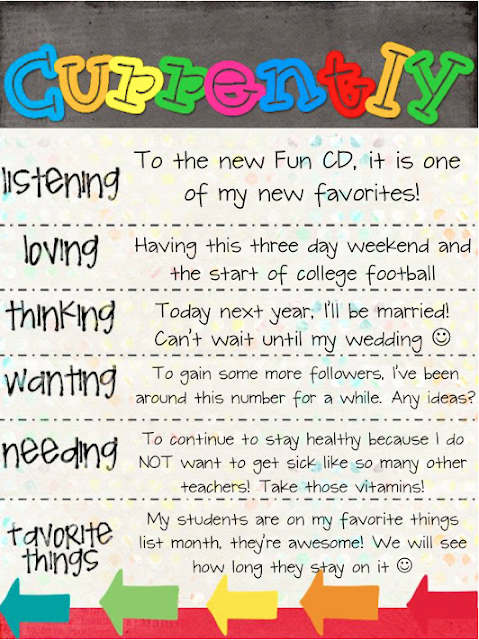 did you change yours to match your classroom? I love everything you have on your site. Can you explain what WBT is and also what you do in Super Speedy Maths? Sasquatch believers say there are several chanel replica details in the footage that indicate the creature is not a person. The main evidence is that the figure in the film keeps replica handbags its knees bent while it is walking (see The Bigfoot Field Researchers Organization for pictures from the film). When humans walk, they lock their knees with each step, holding their legs straight. Believers also hermes outlet point out that the figure's skin and fur has a rippling motion, like a living creature's moving flesh, and that the surface of a costume would not move this way. Skeptics counter that the rippling-skin effect can fendi replica be achieved by attaching a "water-bag" under the suit. According to E! Online: Bigfoot Movie: A Hollywood Hoax?, several Hollywood effects artists say the figure is obviously a guy in an ape suit with a water-bag fastened to his stomach rolex submariner replica. Teaching is one of the gift from god. We should know how to convince student all the knowledge we provides for them. The expert writers in the best dissertation writing help know how to make understand students. They were guiding the students with proper structure of a dissertation.